Summary: Exciting News: Nbeads offers another new shipping choice: SLUS. 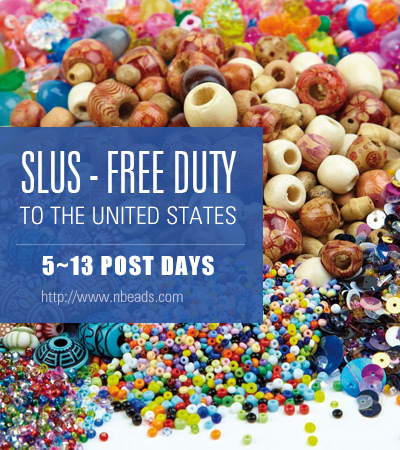 Exciting News: Nbeads offers another new shipping choice: SLUS. When you select this shipping method, it means you will enjoy free duty! It is only useful for the United Status. In other words, your goods address should be America. Goods weight should be no more than 3kg. BTW, use SLUS; it will take 5~13 post days. If your order and goods satisfy the above restrictions, please don’t hesitate to choose this new shipping method, you will save more.